Found 3 file extension associations related to UMOD Extractor and 1 file format developed specifically for use with UMOD Extractor. 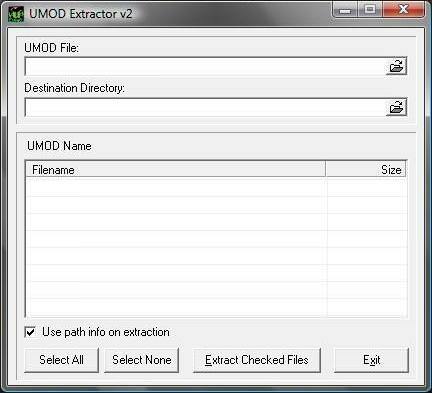 UMOD Extractor is free easy to use extractor of UT/UT2003/UT2004 UMOD installation package files. Supports UT/UT2003/UT2004 UMOD formats (although it only has listed the umod extension). Standalone application and Shell extension. Allows selective extraction of files inside the UMOD. If you need more information please contact the developers of UMOD Extractor, or check out their product website.